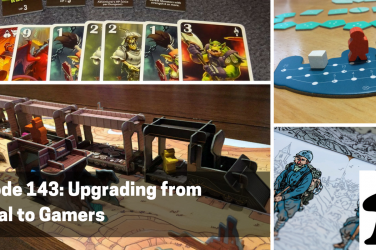 This week, Anthony, Chris, Daniel, and Drew dive into the world of board game designers, discussing some of the people who have made the hobby what it is today, along with the unique quirks and game styles that make them who they are. 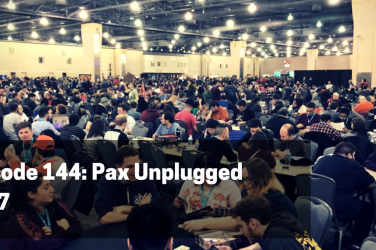 The first in a new series of features called Gamer FAQs, BGA will use this slot to dig deep into topics of interest to tabletop gamers and the hobby in general. 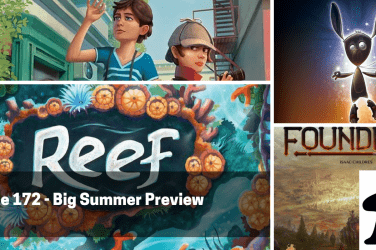 Plus, we take a solid look at some hot new games coming up, play through a couple of recent classics and discuss who we’d want to design our lives. This is the sort of article that experienced KS watchers, like Chris, already know. But it’s a good introduction to the kinds of game projects to stay clear of. It’s a well-explained discussion of the game, showing both its complexities and its rewards. And it’s easy to forget that the game was based on the books, released as it was a full 8 years before they hit the small screen. IDW is releasing its first fantasy game in July: Awesome Kingdom: The Tower of Hateskull. The title is a clue that the game will be somewhat tongue-in-cheek, though a good deal more subtle than Munchkin. The box cover puts me in mind of Don Bluth’s cartoon fantasy video game, Dragon’s Lair. 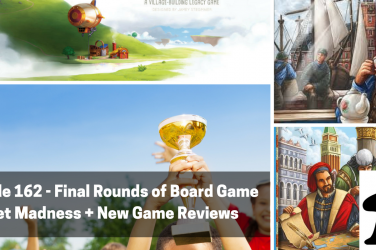 Awards season is coming up, with two of the biggies, Origins & Dice Tower, releasing their lists of nominations. For best game of the year, the two organizations share only one title: Dead of Winter. Won’t be too hard to predict the winner of both those contests. Chris debates whether X-Men: Mutant Revolution will work with the new setting and tries to decide if this re-themeing of Spartacus: A Game of Blood & Treachery is worth his time and money. Drew wants to play a ‘Megagame’. He’s interested in “Watch the Skies,” a large-scale Diplomacy style game which originated in Britain. Centered around an alien visit to earth, it pits teams of players against each other in a ‘model UN’ scenario. The next sighting will be in Boston on May 24th. Anthony, Chris and Daniel get a pair of games to the table that they’ve been eager to play for some time. Daniel gets his first ever shot at Lords of Waterdeep and the crew discusses how the game stacks up after a first play and after some time compared to other worker placement games. Anthony also talks about Ghost Stories, one of Antoine Bauza’s earliest games and an interesting take on the co-op genre with a good bit of luck mixed in. In the first instance of Gamer FAQs, the BGA team looks at 15 designers who epitomize the hobby for them. 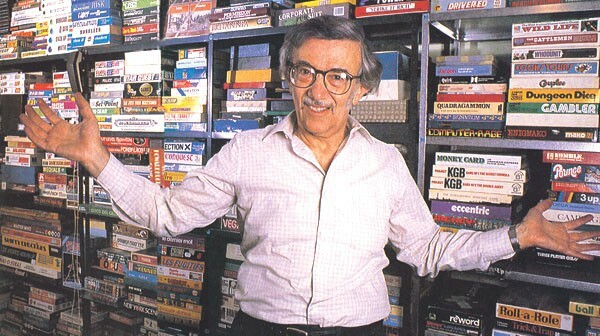 This includes some of the all time greats like Sid Sackson and Steve Jackson, alongside some of the newer kids on the block like Jamey Stegmaier, who has revolutionized the use of Kickstarter to release board games. 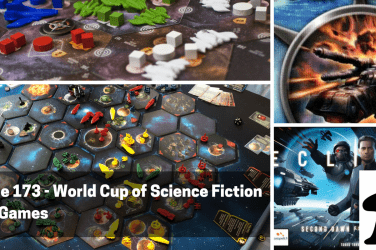 Listen to the crew discuss what makes each of these designers unique, how their games stand out, and what they’ve done for the hobby. Final Round: Which game designer would you want to design your life? 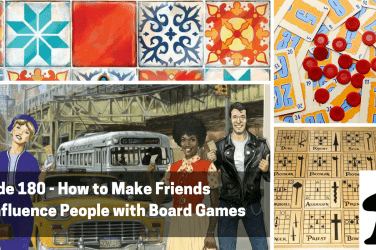 And don’t forget to connect with BGA on Twitter (@BGAPodcast), on Facebook, and BoardGameGeek. You can also back us on Patreon where you’ll find a number of opportunities to become part of the BGA team.